Adaptation of the business model of a company over time is a key to the survival of the company factor, medium and long term. But the types of business model Internet have changed since 1992 when the first website was created to this day? Everything depends on classification we use. Business oriented to provide networking services (Facebook, Linkedin, etc.). Although there are some whose model is hybrid, such as Youtube, which in turn gives context to content, but also includes social networking features. The same could be said of Instagram if we consider more than just a social network. 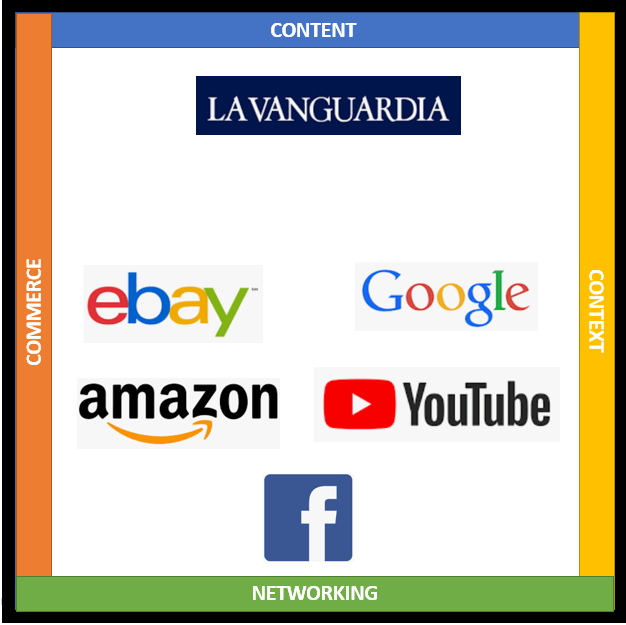 On the other hand, returning to the beginning of this article, lyou must continue to adapt its business model as time passes, este es el caso por ejemplo de Amazon, que empezó en 1994 como tienda online de libros, poco a poco fue incorporando su comunidad de lectores que enriquecían las fichas de los libros, luego pasó a comercio electrónico de todo tipo de producto y finalmente combina su comercio electrónico con un marketplace. Utilizando el modelo de las “4C” parece cómo si no hubiese cambiado, pero lo cierto es que dentro de lo que los autores del “4C” consideran comercio electrónico, hay todo un mundo de subtipos de modelo de negocio… pero profundizar en este tema lo dejaremos para otro artículo. In case you are interested in topics of the archetypes of business models, I'll leave this table under these lines is what I use in class when I explain the model of the "4C" and key success factors of each type, so as the different sources of income that can use such businesses. (Yes, it's in English ... but this class impart English). I hope the information is useful to you. Microsoft announced last week that it had developed its own set of text ads on search results MSN Search. According to Microsoft this system is much better than its rivals Google and Yahoo as it will serve ads based on gender, age and location of the user. For Microsoft, Google is becoming a real threat. Thanks to the revenue that Google is getting its adwords, they are funding many initiatives in the field of programming with free software and applications that have little to do with Windows and compete directly with Microsoft products, such as Gmail vs. Hotmail. It is obvious that the market for text ads included in search results is a great source of income. Google is a living example, has announced a net profit of 342.8 million dollars during the second quarter 2005. 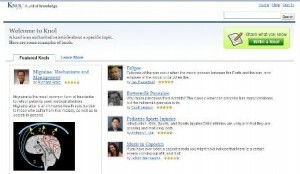 In a way, for some years, MSN has been forced to share revenue with YahooOne of its main competitors. Until now, the ads MSN offers on its website are offered by Overture, a company that since March 2003 belongs to Yahoo, so Yahoo gets a commission for each sale of MSN. According to Microsoft the service they offer will be much more attractive than Google and Yahoo for advertisers because it will provide segmentation by gender, age, location, user, time display ads and other parameters that Microsoft knows about its users. Microsoft has been latecomers to the world of search engines, but it looks like it is doing completely, but step by step and not risking. After getting your own search engine, the next logical step is to exploit Microsoft itself the economic potential offered by search engines and that Microsoft has failed to see until Google and Yahoo have been presented every year positive economic results. It seems that the first sites of Microsoft in testing this new ad system will MSN MSN Singapore and France. Then, it will spread to other countries. We will be watching when this occurs, to perform segmentation and analysis of acceptance and subsequent expansion of the MSN network of advertisers. World Ranking Web by number of visits and page views. Internet has changed some of the bases that Michael Porter started in 1980 when he published 5 Forces involved the success or failure of a sector or a company. Over recent years, Porter has been modifying and clarifying 5 forces. In this article we will see how they have evolved to adapt to new times. Michael Porter will be in Spain during the 12th and on May 13 giving a lecture under Expomanagement Madrid 2005. It will be an excellent opportunity to see first hand their views on the changes that the Internet is occurring in our economy and moment forces the move. What are 5 forces of Porter? When the analysis of Porter's 5 Forces used? When you want to develop a competitive advantage over your rivals. When you want to better understand the dynamics that influence your industry and / or what your position in it. When you analyze your strategic position and looking initiatives that are disruptive and make you better. But the Internet has changed some of the bases from which Porter started in 1980 for each of the 5 factors. Porter himself, over the years has been modifying them and adapting them to today's world. In this article we will discuss 5 forces and see how the Internet has changed the rules of the game and what we should consider if we want to continue to use this type of analysis. Porter focuses on developing its recommendations differences between our products and those of competitors, to avoid falling into competing on price, a strategy that ultimately end up affecting the profitability of both companies. Internet has also made appear on the market many products that were previously only intended for a local market, so even if our product was unique in our market, now appear identical products to our ... so again just competing by price . There is information on the effect of local clusters in the relationship between competitors in various articles published by the same Michael Porter. At the end of the article we quoted one. Create differentiated products and patent them. Develop the brand image of the company, for customers to them more difficult to switch brands. Close access to distribution channels. Have restrictions for new players, dictated by government institutions. Network externalities, on the other hand, lead to the creation of natural monopolies because they generate positive feedback processes that make each new user of a service it has more value for the next user. Porter is considered a substitute of another product, only if you replace a product of a different industry sector to yours. For example, the price of aluminum beverage cans, is based on fluctuations in the price of glass bottles and plastic bottles. They are substitutes packaging, but are not rivals coming from the aluminum packaging industry. Internet also enables other ways to meet needs and functions, creating new and unimaginable substitutes. For Porter this threat must be neutralized with an appropriate strategy to pursue this end. Internet increases the information on products and market reality. Increases the bargaining power because it provides more direct routes and eliminates customer links in the distribution of products. It provides an unbeatable consumers to join and perform lobbying against certain companies when customers are dissatisfied frame. Porter focuses the analysis of this point by remarking that the power of suppliers depends on the importance of them (think of providers who have captive market for example . : Telefónica, Microsoft, etc.). The current trend is to treat suppliers as business partners, and share with them the ultimate goal of meeting the needs of our customers. The customer-supplier relationship is changing. Product development teams with talent and creativity. Sales teams with great communication skills and awareness of the needs of a changing market. Brand image that conveys innovation and quality. Imitation of our products by others that have not invested in R & D.
The changing and unpredictable tastes of customers. So to round off the article I say that the Internet has made the analysis of Porter's 5 forces still remain valid today, is much more complex than it was and with many more variables to consider. Article by Michael Porter on Local Clusters. Article summary of the conference about the New Philip Kotler Marketing and increased consumer power. 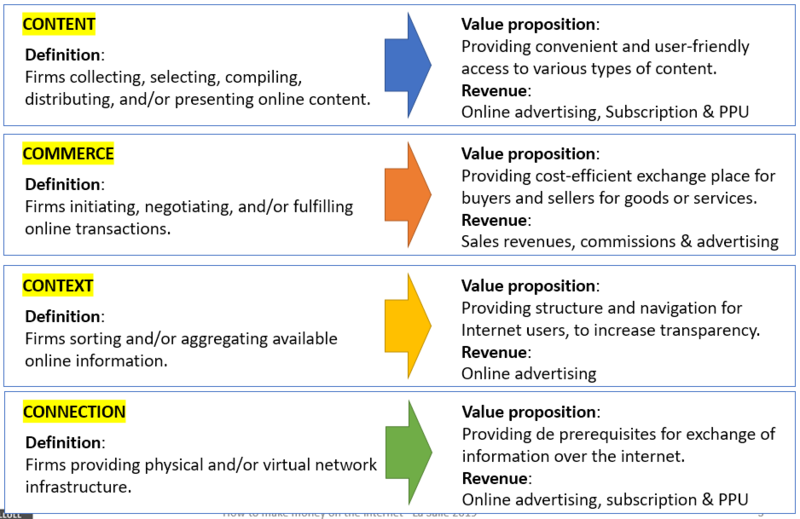 Philip Kotler: the 10 principles of "New Marketing"
We all know, giving value for nothing is one of the best weapons to succeed online. If you can provide a good percentage of your free service without this just your results having a positive impact on your business will suffer. The explanation is simple: the viral marketing that generates something free is much higher than can be generated with a payment product. So if you are able to transform users coming to your site into customers, you have the game won. If there is something that I love are the games ... and of all the games, strategy games. Since early January 2005, I'm playing oGame (http://es.ogame.org) A strategy game framed within the genre of massively multiplayer games turn (turn based massive multiplayer game). It is being played by the web, without requiring software installation. Typical game of colonizing planets (note for those over 30: is like the VGA Planets shifts but without sending email). Is free. It's addictive. Right now we are more than 7,000 players playing in the same game. I've been analyzing the growth of oGame since I joined him. Can anyone guess growing daily as the number of players? The number of new players daily grows 6%. Daily!! Can you imagine a business to grow at a 6% daily geometric? Well ... certainly hard to imagine. In this case would be considered cheating OGame is a business. At least as far as the Spanish version is concerned. The German and English versions, and water are another matter. Business model: selling advertising on the German community and English version of the game + pay no advertising and more features that facilitate the organization of your strategies. Advertising in the Spanish version exists but is minimal, poorly segmented, is by pop-up's (with which you can skip the all if you want) ... and worst of all ... it's all in German. Hence my assertion that the Germans have decided not to exploit the Spanish market at the moment. But back to what interests us in this article. How to prove to unbelievers that offer something free, you end up doing the billing? OGame viral marketing also works as a network of contacts ... small explosions as the recommendation is coming to small groups of friends or communities. Hence somehow it ends up showing a curve that combines the group growth with the growth of networks Metcalfe. Anyway ... just a steady growth of 6% daily. These are many new visitors to a web page daily. Many more than we can attract with any marketing campaign, search engine indexing, advertising in Adwords, ... or anything that we can devise to increase visits to our website. Again, I repeat, the secret is in knowing the views convert into customers. And that if the viral marketing or free content, and have nothing to do. They have already fulfilled their mission: bring users to the page. Here only consider our ability as business managers. How do we convert visitors into customers? Online games: Offer a pay version of the game, with more functionality without micromolestias such as advertising. This is the model chosen by German managers ogame for their other communities. Sites selling content: Offer expanded and better quality content, but by the same authors, for a reasonable price. online marketplaces and classified: Offer a package of value-added services to complement the services they receive for free all users, but we know from interviews with some users, some of them would be willing to pay for. These packages can deliver advertising its products, more visibility, extra features, etc.